You likely have heard this saying many times: “If you want to hear God laugh, tell him your plans!” Well, it has been a hilarious week here in Wading River, NY where I have just moved. My plans were simple: move, unpack, and begin my ministry on Monday, September 10th. Simple… Ah, but God’s plan was different and I wound up in the hospital with a back issue (now on the mend). Needless to say, that put me at square one. Now, I’m listening closely to what the new plan is. The frustration is that we are not always patient people, myself included. WE want to be in control of our lives. So what do we do? Do we turn to complaining about the situation? Or wonder why me? I sometimes joke with God and say, “Rewriting the book of Job is not in my job description.” How do we -- how do I -- stay positive in the midst of the struggle? 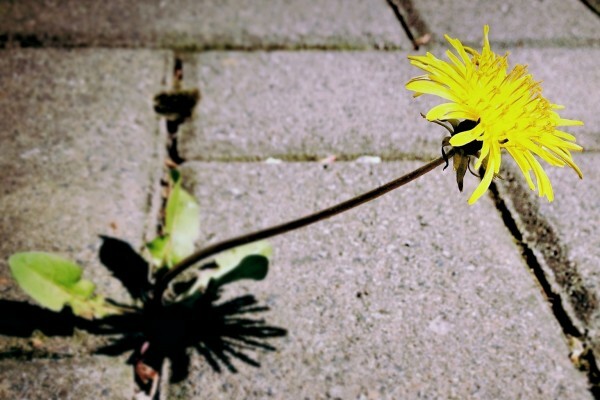 Well, it reminds me of the bumper sticker that says “Bloom where you are planted” and shows a flower coming out a cement side walk alive and beautiful. With prayer and with loving people around us, we can challenge ourselves to grow, bloom, refocus, let go of our plan and share the beauty that is deep within us, despite the change of plans. Sometimes the wind blows us and we don’t expect it, but it doesn’t crush us for God is always with us. What I need to do now is to stay in the struggle, listen to what God is asking and slowly move on. This past week’s Gospel was very apropos for me and the words “be open” remind me to open my heart and mind to what God is asking and not what I am planning. Are there issues, plans, situations that you need to be open to at this time in your life? My guess is yes. Take the time to reflect, pray, share with another if you need to and nurture that beautiful flower that is longing to bloom where it is planted.